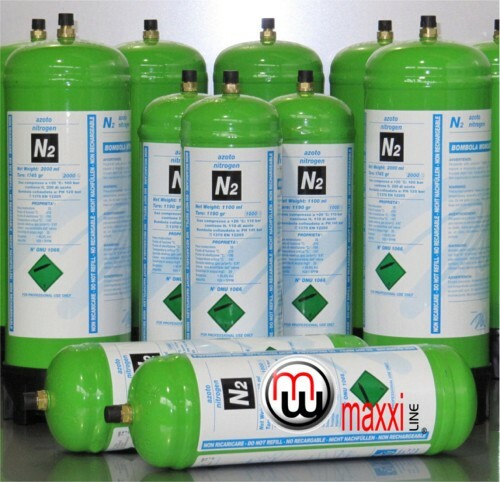 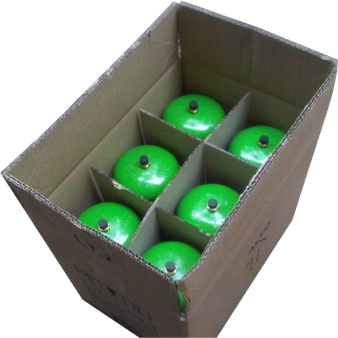 MaxxiLine Nitrogen (N2) disposable gas cylinders, are commonly used in the Air Conditioning / Refrigeration industry to purge moisture while repairing pipes. 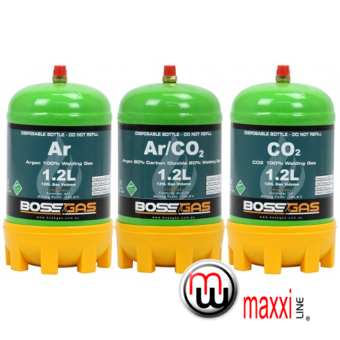 MaxxiLine Nitrogen (N2) disposable gas bottles are commonly used gas to pressure test systems prior to refrigerant charge, or as part of servicing following refrigerant recovery. 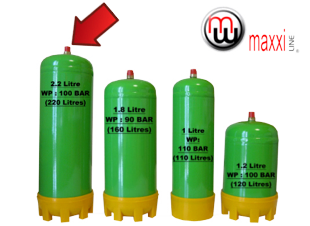 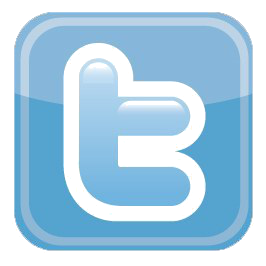 Hydrogen gas has a number of unique properties which make it an excellent trace gas for use in leak detection. 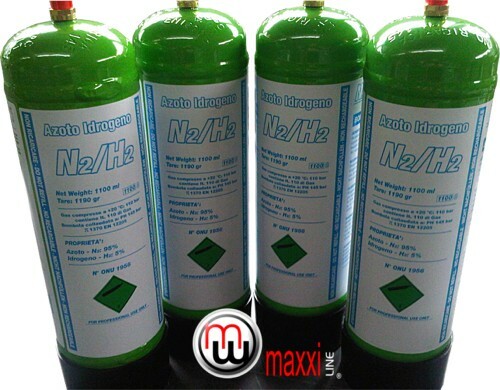 We recommend MaxxiLine industrial grade mix of 5% Hydrogen in Nitrogen (N2H2). 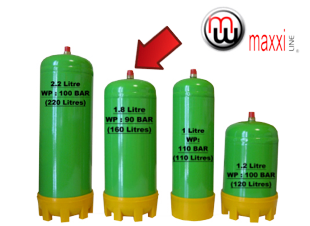 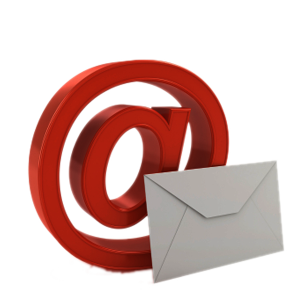 This mix holds the important features needed for using Hydrogen as trace gas. 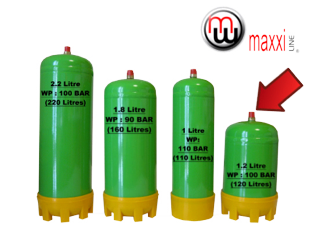 MaxxiLine Purge Kit is the ideal kit for HVAC and Refrigeration installers and service technicians. 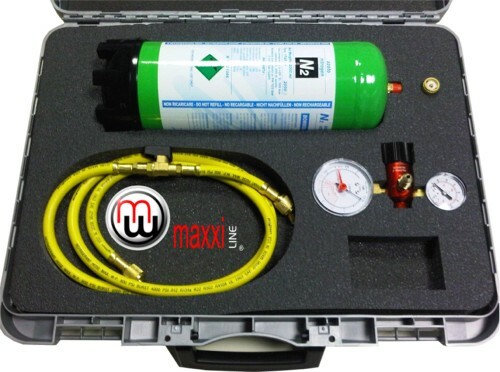 This Kit provides all tools needed to pressure check the HVAC and Refrigeration lines, leak testing after brazing, flush drainage lines, blow clean components, and purge AC line sets . 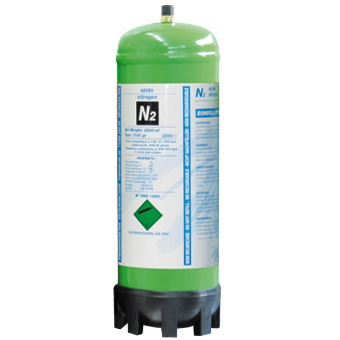 Nitrogen is the standard medium for contamination-free storage because it is relatively inert, it neither reacts with stored materials nor carries moisture, and because it can be isolated and purified relatively inexpensively. 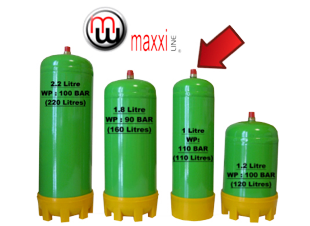 If you have any enquiries or would like further information on MaxxiLine 1.2ltr Nitrogen - 5%H2 95%N2 Mix (H2N2) MiniBottle click here.